James Gang Graphics at 1931 Bacon Street in OB. 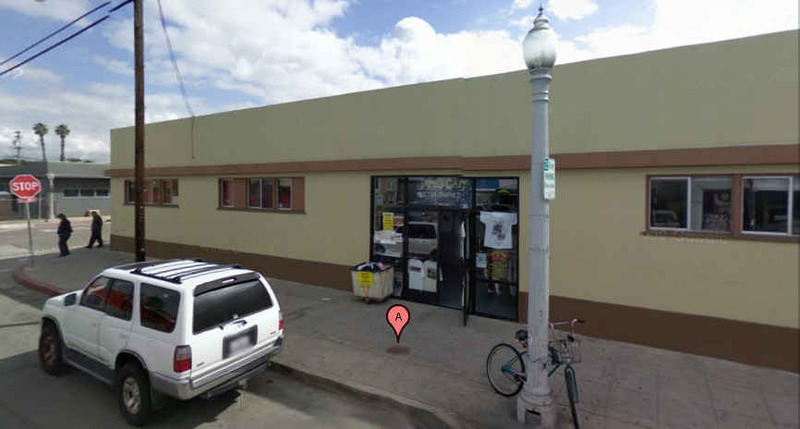 Pat and Susan James have been running James Gang Graphics, an Ocean Beach business that has been around for 35 years, and are now looking for a buyer or buyers. For the last 35 years, we have been privileged to be in business in Ocean Beach. We love this town, the community, our employees and the wonderful customers that have patronized James Gang. The memories far outweigh the challenges of these economic times. That said, we have decided to make a change. We are looking for a buyer or buyers, with the energy, vision and working capital to take the James Gang to a new level. This is a very viable business, with huge potential, for the right person or group. The business has been an OB mainstay for a generation. It first opened on Newport Avenue selling T-shirts and sweatshirts, and thrived at their location for 14 years. It then morphed into more of a full-fledged print shop and moved to 1931 Bacon Street where it has been ever since. “It was the bad economy and the credit freeze,” Pat told me this morning when I asked him what had happened to force them to look for new buyers. “Especially the credit freeze – that’s the big issue,” he said. It was not a lease rent problem, Pat explained, as their landlord has been working with them for several years. “You know, there’s been escalating cotton costs – due to flooding in Pakistan, and stuff like that. And increasing petroleum prices …” which is what most their ink is made from. Petroleum costs have doubled in the last 5 years, he said. “We’re still in business,” Pat said, “we’re still up and running.” They just need to reconfigure everything. They have eight employees, 7 of them full-time, and any changes will be a hardship for everyone. Pat and Susan haven’t had a vacation in five years, as they’ve been hunkering down trying to make it work in an economy that has not been kind to small businesses. Besides running the shop with Susan, Pat has been the Chair of the Ocean Beach Historical Society for a number of years, and has been OB’s unofficial videographer for the last decade at least. Pat was instrumental in helping to save the OB Library branch a couple of years ago when it was on the Mayor’s chopping block. The building that houses the shop has some historical significance, as well. It was the last manually-set, single-lane bowling alley in America. Truth. If anyone is interested – let them know. Contact Pat and Susan at James Gang Graphics at 619-225-1753. I am so sorry to hear that the Great Recession is swallowing up another valued presence in our community. Despite all of the political assurances that we as a nation value small businesses, nothing has been done to address the “credit freeze” mentioned above. Simply put, banks are not providing lines of credit and bridge loans that are vital to keeping these businesses alive during this recession. Banks are sitting on an enormous pile of money, thanks to TARP, while small businesses struggle to pay their suppliers and meet payroll even when orders are coming in that would make the enterprise sustainable. This short sightedness will do little more than string the recession out even longer. Just what we need. Anna- The apparent short sightedness of finance capital is counterbalanced by the political calculations of its most right wing elements. The neo-fascist grouping is undermining the current administration at every turn so they can portray it’s hand picked candidates (shout out to Gov. Walker) as riding a white horse to save us from the “n1773rs” in the white house and the “l1b3rals” in the legislatures. Does anybody doubt this? I don’t doubt it at all, Danny. I see the wreckage every day. Hey, your guy in the Whitehouse supported, and bailed out the failed banking system, too. You should give credit where it is due, even if it contradicts your dogma. Ian- What you just said proves my point. I’m sure you didn’t miss the fact that the TARP program was concocted in the Bush/Cheney Whitehouse, held up until the Obama administration took office and implemented under threat of economic failure. You also didn’t miss my point that finance capital is holding on to the TARP funds to boost stock prices and leverage public opinion against the current administration through a credit freeze. The fact that “my guy” in the Whitehouse is either willfully or naively oblivious to the nature of his political enemies has nothing to do with the plight of the James Gang. So stay on topic, stand on principles and leave the the personalities out of it! I didn’t bring up finance capital and try to spin the banking scam as a right wing only conspiracy. You did. I would suggest, at least being honest, and if you are not educated on the facts, go back and do some studying. TARP (which I was against from the beginning) was implemented by Bush (who I never voted for), and continued by Obama (who you voted for, and still support). Obama appointed the same status-quo crooks that created this problem to important positions. If you no longer support the actions of the President that you voted for (because he is the same sort of corporate shill as Bush, whom you hate), just come out and say it. Don’t pretend like it is only the neo-cons who support this crap. You do too. Ian-OK, I was wrong but please seek professional help. To turn the plight of The James Gang into an ad hominem argument against one of its friends isn’t the product of a healthy mind nor of a progressive community spirit. What is apparent to everybody else (we hold these truths to be self evident) is the mind-body-spirit symbiosis of our disease. I understand only too well, how feelings of powerlessness in the face of monopoly/state capitalism can result in anger. But please get some help before impotent anger (cunning, baffling, powerful) manifests itself as physical violence. You live in Ocean Beach, go soak! I hope they find a buyer. My family was also in the printing business for many years, but couldn’t keep it going anymore. Very sorry to hear this. Hope that Pat and Susan are able to find a suitable buyer, and best of luck to them. I will have to go pick up one of their t-shirts soon. The one with all 5 brothers with “James Gang” in a Star Wars font is totally badass looking, but I have been reluctant to buy one lest I actually run into Pat while wearing it, lol. What are we becoming as a community? Recently the VFW and now the James Gang. Makes me wonder which will be the next domino as they appear to be falling at a much quicker pace. And some think that Starbucks was of no consequence. FOO-EE! Why don’t you switch to soy oil instead of mineral oil? Everyone else has. And cotton can be sourced from other places besides Pakistan. The problem lies with your outdated designs. Has Ocean Beach been gentrified to the point where it’s acceptable to blame the victims? From the above comment that appears to be the case. As heartless, insensitive and cruel sentiment as I’ve seen. Please somebody, take a low blow personal shot at me. I can deal with that. But to look down ones nose at Pat and Susan is more than I can bear. Long Live The James Gang! Long live OB! Sadly, the comment throwing stones at the James is indicative of a growing segment of the Ocean Beach population. Those who have very little connection with the history of the community. The James family have blessed this community endlessly for nearly four decades. They have contributed their time and resources to make Ocean Beach a better place. ( e.g, The first OB Christmas Tree/Parade is a direct result of the James bros). I had the privilege of working with Pat and Susan for several years on the board of the Ocean Beach Historical Society. Both of them contribute endless time to making this organization a vital resource of OB history. I am sure they could have dedicated this time to their own business interest, but they have a genuine love for this community and have personally sacrificed for it more than most. I am grateful to the James family past and present for their commitment to OB. I wish for Pat and Susan a new endeavor , hopefully in OB, that will bring them great happiness.